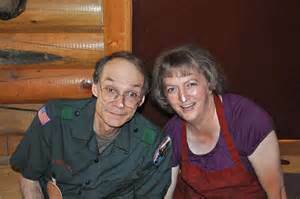 Introduction & Note: This is a long series of articles on organization for a prepper group (emergency preparedness group). There is a lot of information to present. It comes from the national ICS model and I am adapting it to a “prepper” environment. While many positions, responsibilities, etc. stay the same, there are plenty that change. I have spent 5 years on a large national incident management team so I am including some first-hand experience modifications as well. Finally, this is a “work in progress” and the information will change and get updated. What you are reading is an initial “head dump.” If you have questions, thoughts or concerns please feel free to leave me a “comment” and I will answer you. I have purposely left the Operations Section till last due to its complex and extensive nature. Thank you! General – Remember the Logistics Section grows or shrinks as “needs” dictate. There is always someone in charge of logistics, maybe a single person for a small group/camp. When logistical requirements become more than one person can handle then more people are assigned to the position(s) required to fulfill that need. If the incident is small you may only need one or two people, if your prepper group is large you may need dozens of people to fill various Logistics Section positions. But the principles and responsibilities remain the same. Mission – All support needs are provided by the Logistics Section. • Manage all logistics needs of the incident. • Provide logistical input to the Incident Commander (IC) in preparing the Action Plan. • Identify anticipated and known service and support requirements. • Request/order additional resources as needed. • Review and provide input to the Communications Plan and Medical Plan. • Supervise requests for additional resources. The Logistics Section is managed by the Logistics Section Chief (LogC or Logs) who is a member of the General Staff. LogC may assign one or more Deputies to assist them. A Deputy is most often assigned when the leadership load for the LogC becomes too burdensome, all Units are staffed, or a night shift is required. Qualified and able to make decisions in the absence of the LogC. Acts in behalf of and with the authority of the LogC. Used to reduce Span of Control conflicts or take responsibility for a specific purpose such as night shift. Can also be used as a Subject Matter Expert (SME) as needed. Logistics Sections consists of two Branches; “Support” and “Service”. 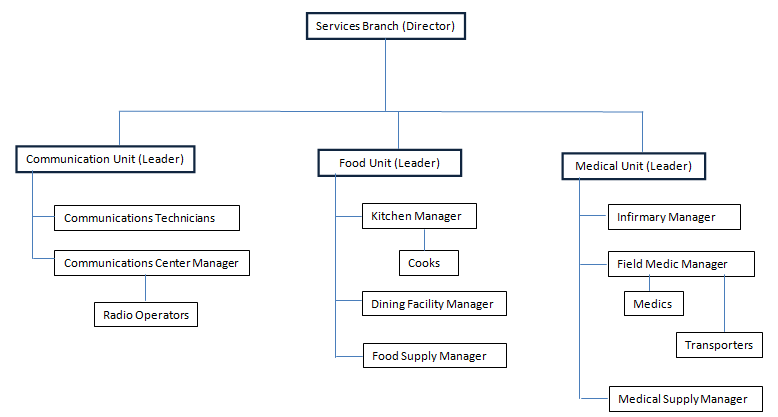 Each Branch can be led by a Branch Director as needed based on size, Span of Control and/or other organizational requirements or needs. Provides safeguards necessary for protection of camp, personnel and camp property from loss or damage. o Develop a security plan for the camp and camp facilities. o Provide all camp security activities, internal and parameter. o Keep the peace, prevent assaults, and settle disputes. o Prevent theft of all property. o Investigate and document all rule violations. 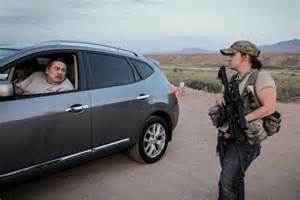 The Security Unit can consist of whatever number of personnel are needed to provide security for the camp. Example: Gate guards, parameter guards, tower lookouts, Rapid Intervention Team, etc. Standard configuration model applies. Operations Sections personnel can act in the capacity of a RIT team, but they are under the command of the Security Unit during that operational period. 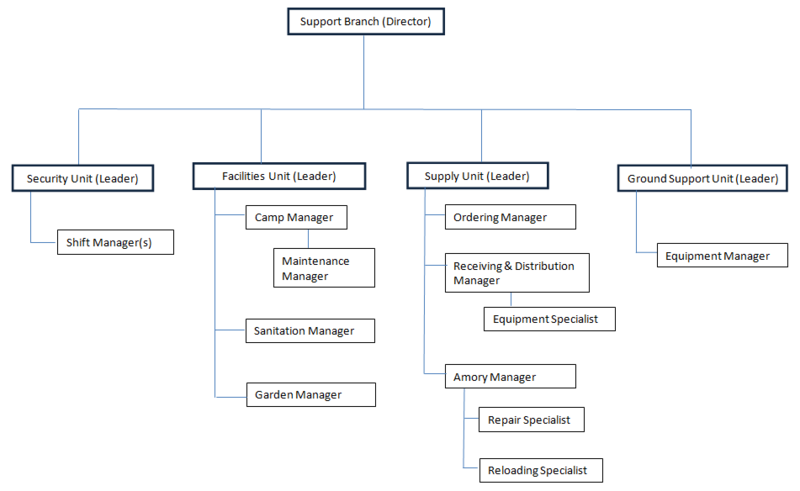 Organizational Structure – The Security Unit will have Shift Managers as needed. And will also organize similar to the Operations Section using squads, crews, teams, divisions, and groups as needed. More detail when this Unit is discussed in its own article. The Supply Unit is responsible for ordering, receiving, processing and storing all resources. All external resources will be ordered through the Supply Unit. Including tactical and support resources (including personnel), and all expendable and non-expendable support supplies. o Participate in Logistics Section & Support Branch planning activities. o Provide supplies to all other Sections. o Order, receive, distribute, and store supplies and equipment. o Receive and store any Section’s excess resources, equipment and supplies; coordinating the redistribution as needed. o Receive requests for and acquire personnel, equipment, and supplies from external sources. o Maintain an inventory of all supplies and equipment. o Service reusable equipment, as needed. • Ordering Manager — Places all orders for personnel, supplies and equipment from external sources. All requests (i.e. orders) for supplies, equipment and personnel go through the Ordering Manger. Supplies, equipment and personnel moved internally do not have to go through the Ordering Manager; they can be exchanged directly. 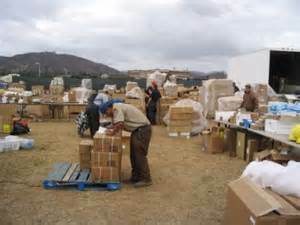 Receives and stores any Section’s excess resources, equipment and supplies; coordinating the redistribution as needed. • Receiving and Distribution Manager — Receives and distributes all supplies and equipment from external sources and is responsible for the service and repair of tools and equipment. • Equipment Specialist – Responsible for the servicing and repair of all hand tools. The Supply Unit can utilize any number of personnel required to accomplish its mission. Standard configuration model applies. • Armory Manager – Responsible for maintaining the camp’s supply of non-personal weapons and ammunition. The Armory Manager shall also be responsible for the repair of any weapons in camp utilizing personnel able to perform those services. If reloading capability is available the Armory Manager shall oversee the camp’s centralized reloading activity. o Repair Specialist – Person in-charge of repairing weapons (personal or non-personal). o Reloading Specialist – Person in-charge of non-personal camp reloading activities. This unit is responsible for set up and maintenance of all facilities except Staging Areas. • Participate in Logistics Section & Support Branch planning activities. • Determine requirements for each facility. • Activate and prepare layouts of facilities; inform appropriate Unit Leaders of occupancy status. • Obtain and supervise personnel to operate facilities, including the Base Manager and the Camp Manager. • Provide facility maintenance services, e.g., sanitation, cleaning, lighting, etc. 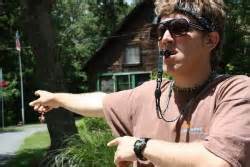 • Camp Manager – Ensures that appropriate facilities and management services are in place at the Base. o Determine requirements for establishing a Base. o Understand and comply with established operational restrictions. o Determine personnel support requirements. o Obtain necessary equipment and supplies. o Ensure that all facilities and equipment necessary for base support operations are set up and functioning. o Make sleeping area assignments. o Ensure compliance with applicable safety regulations. o Ensure that all facility maintenance services are provided. • Facilities Maintenance Manager – Responsible for the physical maintenance and cleaning of all base facilities. • Garden Manager – Responsible for food production from gardens. Coordinates with the Food Supply Manager when deciding what to plant. • Sanitation Manager – Responsible for all aspects of camp sanitation needs and requirements. Duties may include designating latrine sites and procedures, water disposal procedures, shower and hand washing stations, kitchen sanitary standards and other sanitation duties as assigned. The Ground Support Unit is primarily responsible for the maintenance, service, and fueling of all mobile equipment and vehicles. The Unit also has responsibility for the ground transportation of personnel, supplies and equipment, and the development of the Incident Traffic Plan for camp. o Participate in Support Branch & Logistics Section planning activities. o Provide support services (fueling, maintenance, and repair) for all mobile equipment and vehicles. o Maintain an inventory of support and transportation vehicles. o Update the Resources Unit Leader with the status (location and capability) of transportation vehicles. o Maintain a transportation pool as necessary. o Maintain roadways as necessary. • Equipment Manager – Responsible for servicing, repairing, and fuel for all vehicles; maintains equipment use and service records. The Communications Unit is responsible for developing plans for the use of communications equipment and facilities; installing and testing of communications equipment; supervision of the Communications Center (ComCenter); and the distribution and maintenance of communications equipment. o Provide information on communications capabilities and limitations. o Prepare and implement the Radio Communications Plan. o Establish and supervise the Communications Center. o Create and maintain communications procedures. o Establish radio, telephone, computer links, and public address systems as needed. o Install, test and maintain all communications equipment. o Establish communications equipment distribution and maintenance locations. o Oversee distribution, maintenance and recovery of communications equipment. o Utilize an equipment accountability system. • Communications Technicians – COMTs are responsible for the installation, maintenance, and troubleshooting of radio and other communications equipment. • Communications Center Manager – Coordinates all communications in a central location. Manned 24-hrs when needed. • Radio Operator – Operates radios and other communications equipment under the direction of the Communications Center Manager. The Food Unit is responsible for supplying the food needs for the entire Camp, including all remote locations, as well as providing food for personnel unable to leave tactical field assignment locations. o Determine food and water requirements for all personnel. o Determine method of feeding to best fit each facility or situation. o Obtain necessary equipment and non-food supplies through the Ordering Manager. o Obtain necessary equipment and food supplies through the Food Supply Manager. 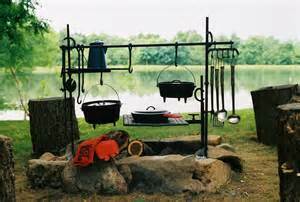 o Establish cooking facilities coordinated through the Facilities Unit. o Ensure that well-balanced menus are provided. o Maintain an inventory of food and water. o Maintain food service areas, ensuring that all appropriate health and safety measures are being followed. • Kitchen Manager – Responsible for overseeing all kitchen operations, cooking, cleaning and sanitation compliance. • Cooks – Responsible for preparing food in conjunction with planned menus. • Dining Facilities Manager – Responsible for the maintenance and cleaning of the dining area and supplemental food serving area. • Food Supply Manager – Responsible for ordering, receiving, storing, and inventorying food stored by the Food Unit. Ordering of outside food supplies will be done through the Ordering Manager. Coordinates internally grown food with the Garden Manager. The Medical Unit will develop a Medical Plan (to be included in the Action Plan); develop procedures for managing major medical emergencies; provide medical aid to camp personnel and establish medical facilities as needed. o Determine level of emergency medical requirements. o Acquire and manage medical support personnel. o Prepare the Medical Emergency Plan. o Establish procedures for handling serious injuries of personnel. o Train all personnel to the first aid provider level. o Medical aid to incident personnel. o Medical transportation of injured personnel. o Order medical supplies as needed through the Ordering Manager. o Embed medical personnel into Operations Section units as requested. o Train additional personnel as needed/requested. o The establishment of medical facilities as needed. • Infirmary Manager – Responsible for all aspects of the camp medical infirmary facility; including all maintenance, staffing, supplying, etc. • Medics and other personnel as needed. • Field Medic Manager – Supplies and coordinates field medics embedded within the Operations Section. Will also coordinate all transportation of injured personnel from the field to the camp infirmary or other medical facility. 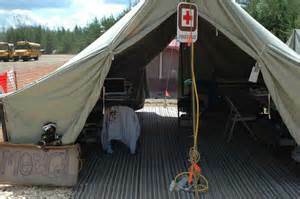 • Field Medics – Provide emergency medical care in the field to Operations Section units. • Transporters – Provide transportation and emergency medical care of injured personnel from the field to the infirmary or other medical facility. • Medical Supply Manager – Responsible for ordering, receiving, storing, and inventorying medical supplies stored by the Medical Unit. Ordering will be done through the Ordering Manager. What you just saw was an exhaustive review of the ICS Logistics Section. Do you need a person in each position? Probably not unless you have a large prepper organization (or church congrgation) with lots of people and needs. But what you see above outlines most of the logistical needs that any prepper group has. If your group is small, then maybe 1 or 2 people can do the job. But don’t worry, if your group grows in number then just put additional people into the organizational chart to fulfill the specific needs. But this gives you “organization” for your group, and that is what is important and valuable.